If your screens don't look like this then (a) you have better screen hygiene than these developers, but perhaps (b) you're not doing eXtreme Programming right, and in particular, you're not doing paired programming. 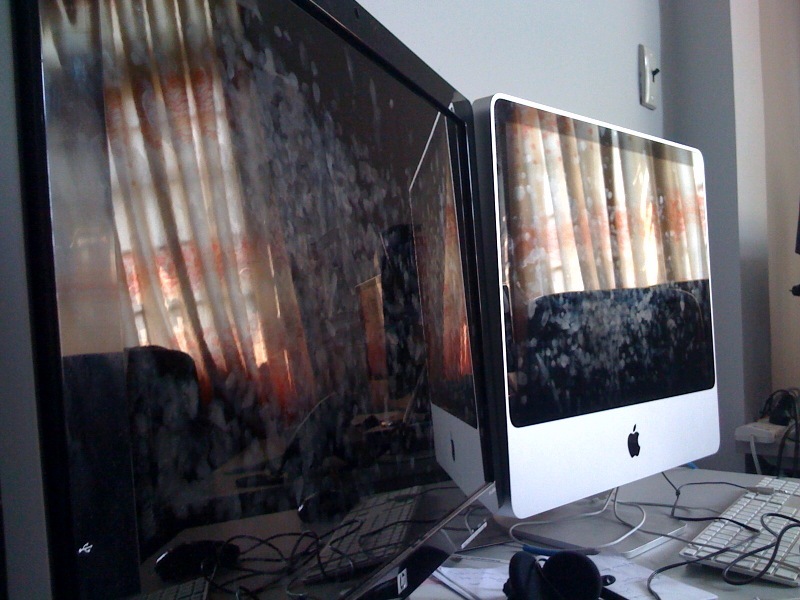 Having fingerprints all over the screens is an artifact of active collaborative development. Learn more about Paired Programming on Wikipedia, including references to research on its effectiveness.